The 2019 TSW Memorial Trophy and $1000 Scholarship recipients were Marissa Kurtz from Sweet Home and Kirk Liscom from Pendleton. People in the photograph left to right are: Director Jeff Erickson, President Cheryl Bennett, Marissa Kurtz, Director Roger Rolen, Kirk Liscom, Director Doug Samarron, and the 2018 TSW Trophy recipient, Ryan Bibler. 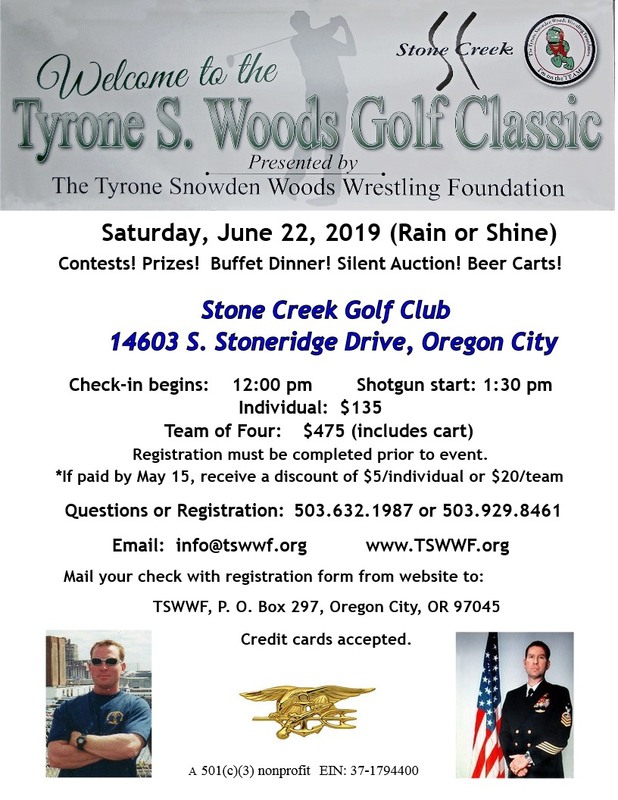 The Tyrone Snowden Woods Wrestling Foundation (TSWWF) was created in 2015 to maintain Tyrone’s heroic legacy and to provide financial support for youth wrestlers and wrestling programs. The values he acquired on the mat were an integral part of his Navy SEAL ethos and his 20 year SEAL career and influenced him to become the man he was. He never quit and even though he perished doing what was right, his heroic actions the night of September 11 and morning of September 12 in Benghazi, Libya helped save the lives of 30 other people. To honor him and his legacy of valor, TSWWF recognizes his “never quit” attitude, determination, inspiration, grit, and loyalty. With the presentation of the annual Tyrone S. Woods Memorial Trophy and scholarship, we encourage and mentor academic excellence, community service, and an exemplary code of ethics for success both on and off the mat. Contests! Prizes! Buffet Dinner! Silent Auction! Beer Carts! 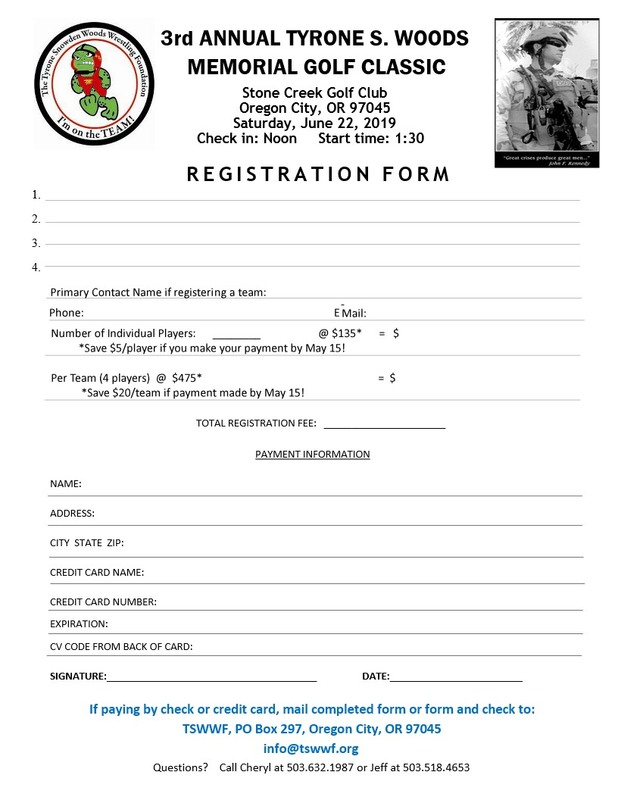 Registration must be completed prior to event. Oregon City names newest park after Tyrone. For more details click here. Among the impactful wrestling lessons learned through my coaches and competition that I still carry with me today is to take personal responsibility. Jaime Miranda spent a portion of his childhood homeless, sleeping in cars as his mother stayed up all night to watch over him and his siblings. 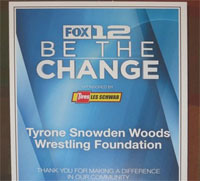 In October, 2017, we were selected to be a recipient of the KPTV Fox 12 “Be the Change” award that is sponsored by Les Schwab Tires. To be recognized for our charitable efforts to help youth wrestlers by such a prominent and well-respected business in the Pacific Northwest is truly an honor. Thank you, Les Schwab! We're looking for volunteers who can help us sell tee shirts and distribute our literature at OCHS and Three Rivers League wrestling events. Contact Debbie Wilson at debwilson226@gmail.com . Our mission cannot be achieved without financial support. 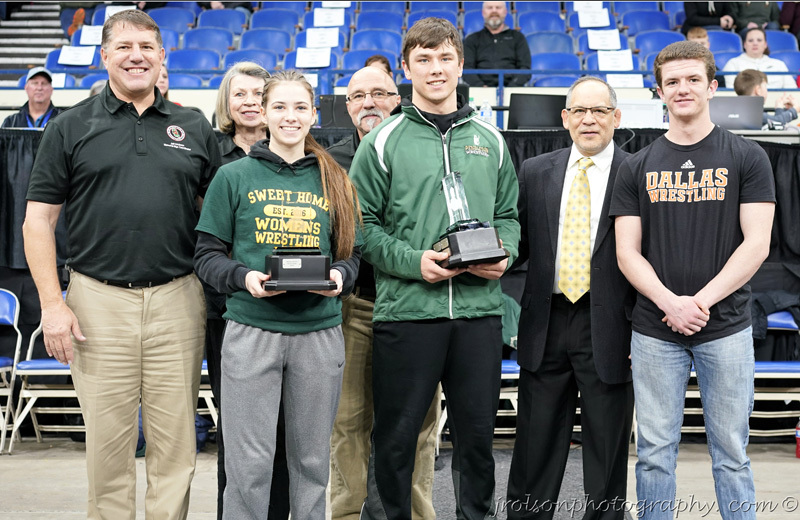 With your donations, TSWWF can help these young athletes and/or wrestling programs in several ways to ensure that the opportunity to participate in the great sport of wrestling is available to them. For example, through your contributions, TSWWF can purchase new pairs of wrestling shoes, pay-to-play fees, uniforms, or contribute to transportation expenses for out-of-state tournaments. If a wrestling program needs new mats or other equipment, TSWWF can help. Among many needs, these are just a few examples of how your donations will benefit these wrestlers and programs.